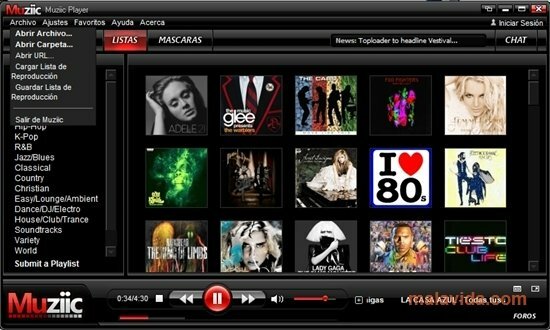 As well as being able to view all kinds of videos, YouTube has become an alternative to many online radios and many users already use it as a jukebox. The only problem is having to open a tab for each song that we want to listen to or not to be able to create playlists with our favorite tracks. 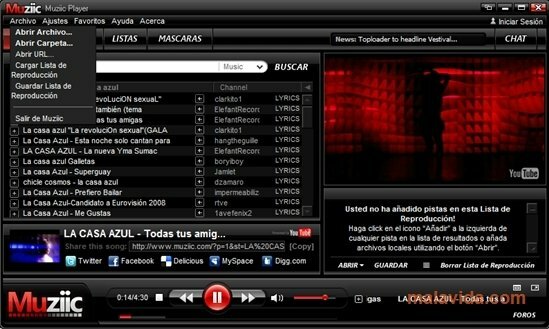 Now, thanks to Muziic (aka The YouTube Media Player) it's possible to have all the music from YouTube on our desktop in a totally free and 100% legal way, as well as working as a music social network, where you will be able to listen to music related with your favorite artists and genre, thanks to the users' playlists and the directory of specialized music channels. All you will have to do is look for your favorite musician and start listening to his/her songs. 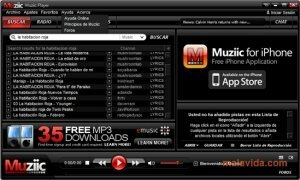 Muziic also includes an application (called Muziic Encoder) with which we will be able to convert our collection of MP3 files to FLV, including covers and information about each file, so that we can later upload them directly to YouTube, so that other users will be able to have our music available. 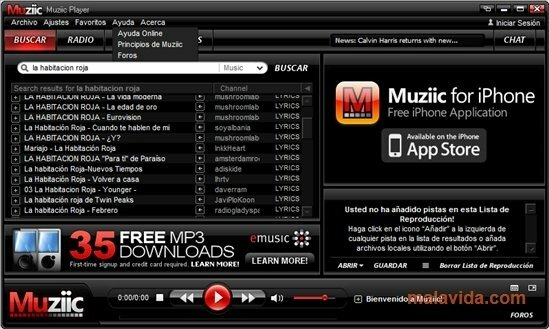 Muziic is totally customizable by means of skins, that can simulate the appearance of the most common multimedia players like Windows Media Player, Winamp, MusicMatch Jukebox or iTunes. If you want to get hold of the millions of music trakcs that are stored on YouTube and access all of them from the same program, all you have to do is to download Muziic to be able to access your favorite songs totally free of charge.